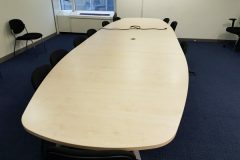 We currently have this Gresham maple boardroom table in 3 parts with cable access and angled leg frame, will seat up 18 – 20 people. You can look at it in more detail by clicking on the image shown on this page. 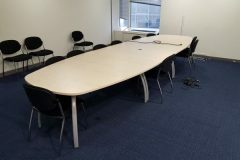 Dimensions: 4800 x 1400mm. 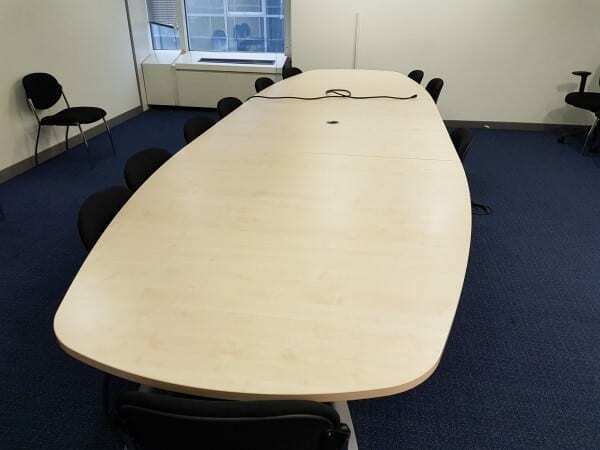 If you are interested in this table and you would like to find out more, our sales team can be contacted by calling 07944 508282. Alternatively, if you are viewing this page using a Mobile Device, you can scroll down to the bottom of the page and click on our Telephone Icon. 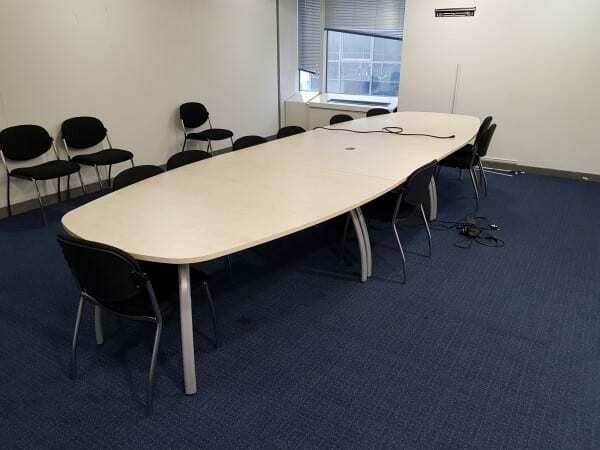 If you were unable to find what you are looking for, we have an extensive range of other Second Hand Tables in stock. Just click on the link provided, or simply enter your details into our ‘Request a Quote Online‘ form below and one of our sales team will be in touch very soon.